For those who never made it out to PAX, GDC, or EGX Rezzed, fans can now get their first ever look at official gameplay footage of SteamWorld Heist, straight from Image & Form. This is an almost 4 minute demo of what you can expect from the game and how different it is from the previous SteamWorld Dig game. 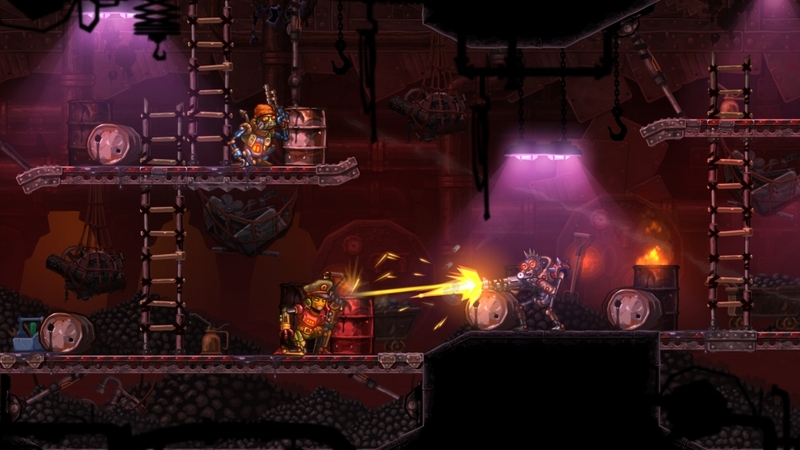 SteamWorld Heist is a game about space adventures and strategic shootouts. The game is developed by Swedish studio Image & Form (who also made SteamWorld Dig and Anthill). Play as Captain Piper and recruit a team of rag-tag robots to explore and scavenge the remains of a destroyed world. Board enemy spaceships and command your crew in a unique variety of turn-based combat, where the outcome is determined purely by your own skills.